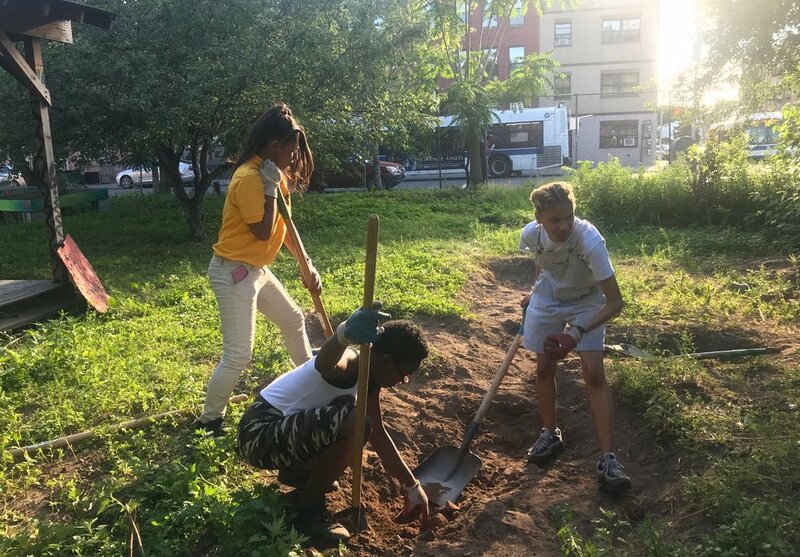 For the past few years, the folks over at Tehuti Ma'at Community Garden have been working tirelessly in their fight to ensure food equity in their home base of Brooklyn. After two years of cleaning, organizing and planting, the group is nearing their goal of transforming a run-down plot of land in the heart of Crown Heights into a lush, fruitful site of organic produce and medicinal herbs. In its third year of existence, the Organic Food for the People urban farm program is hoping to eventually purchase sustainable equipment, including solar power, water conservation, irrigation and filtration systems to further their process. Aside from increasing access to organic foods, Tehuti Ma'at is also an important cultural center. With their RAWorkshops and open-mics, they have fostered a dynamic community of artists and activists that are dedicated to educating their community on topics of health, nutrition and food justice. Ma'at Fridays: for the next four Fridays, they will be hosting an open mic and Black-owned business market. Community Cookout: a fundraising group meal, in collaboration with Just Food. If you can't make either of these events, you can show your direct support for Tehuti Ma'at here.